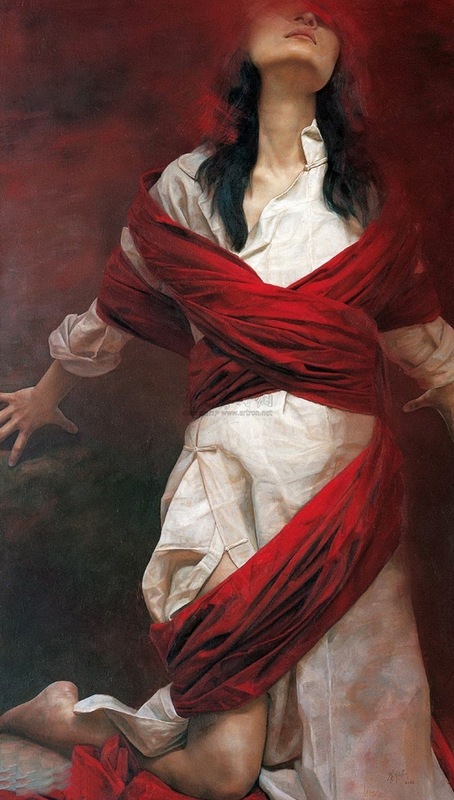 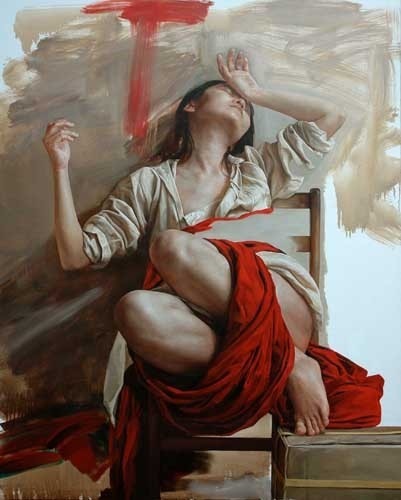 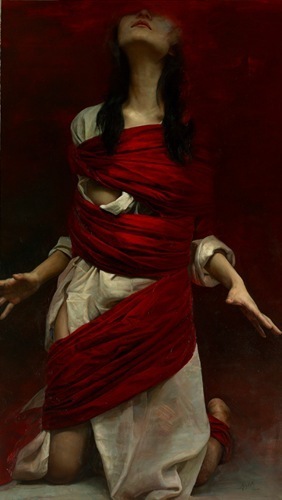 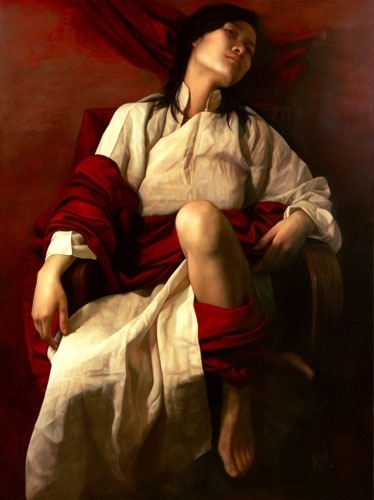 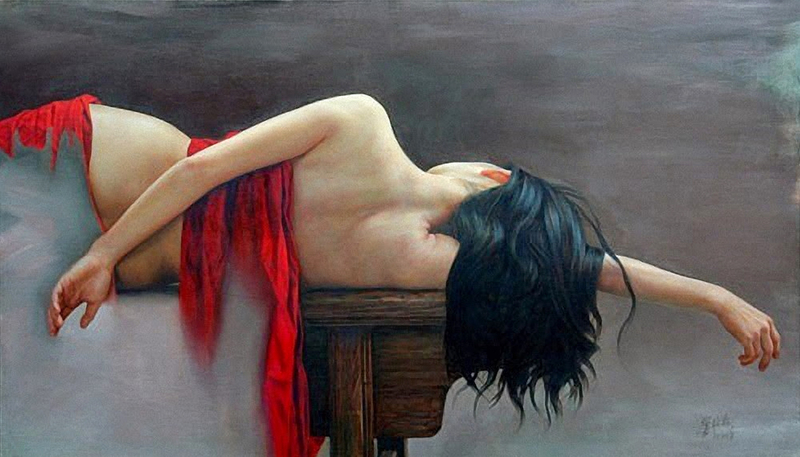 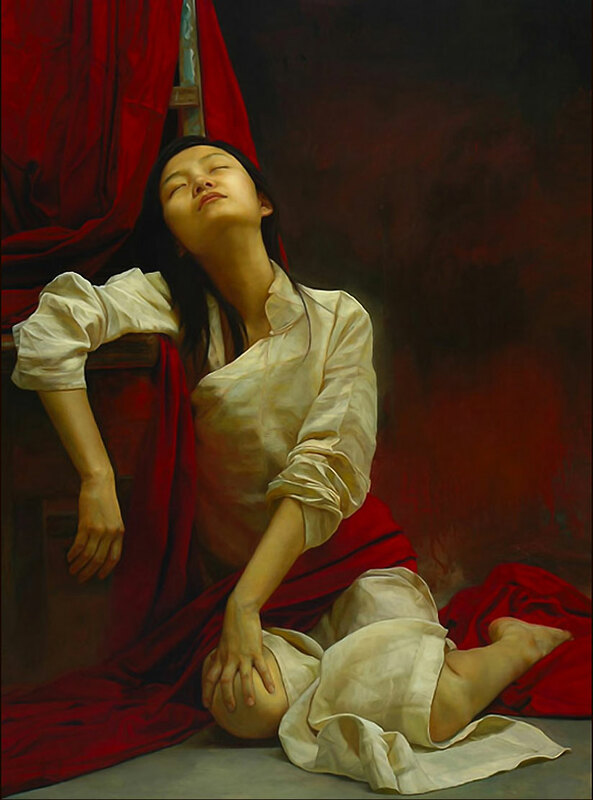 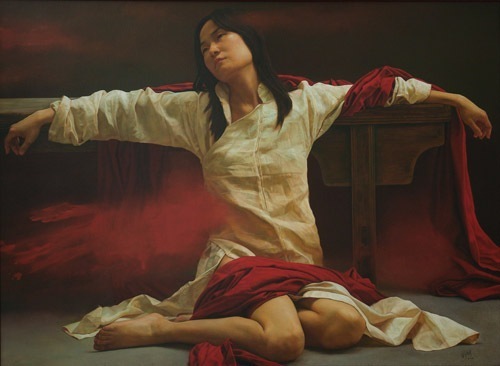 Chinese realist painter, Liu Yuanshou was born in Beijing in 1967. 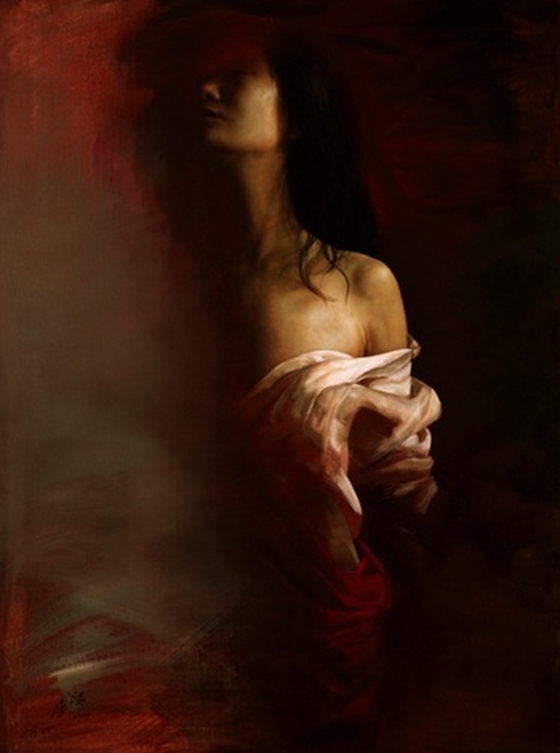 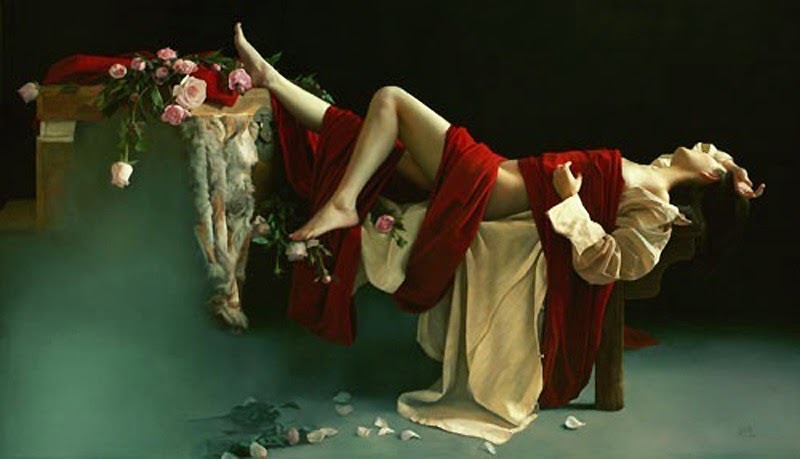 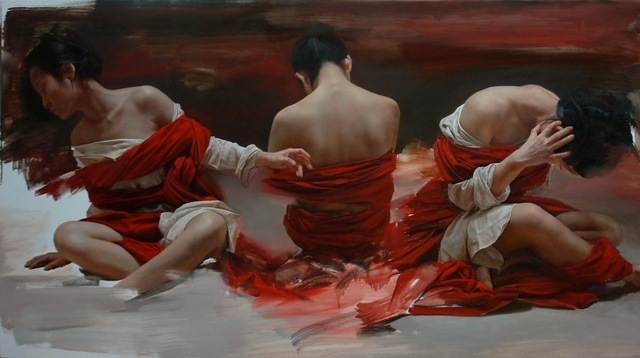 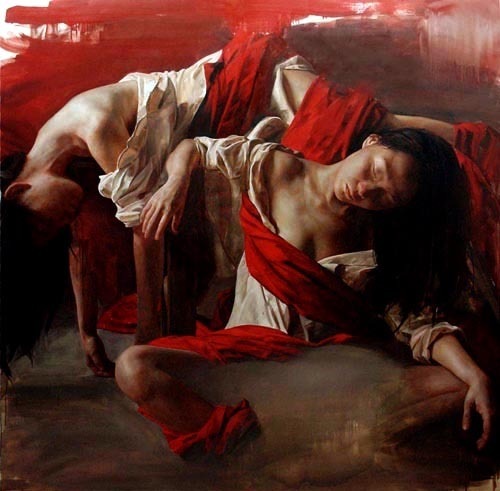 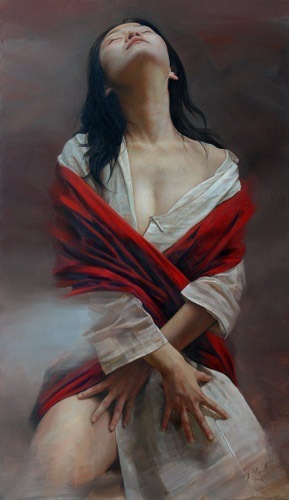 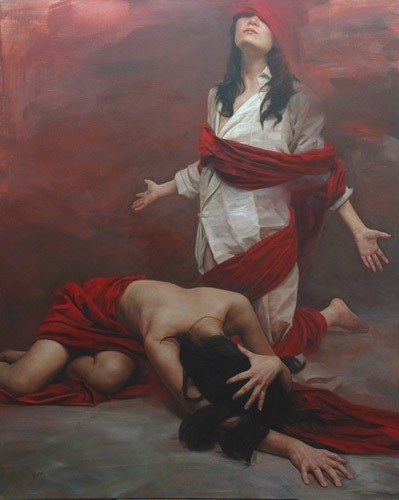 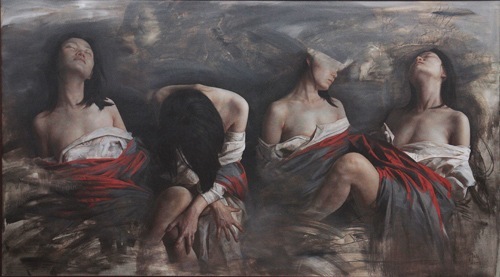 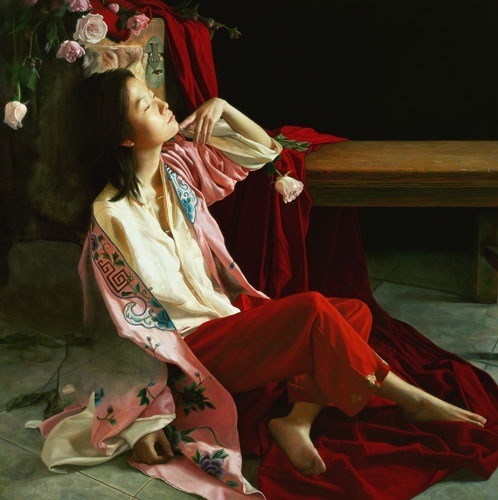 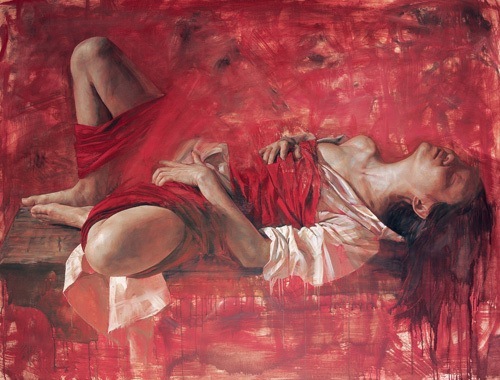 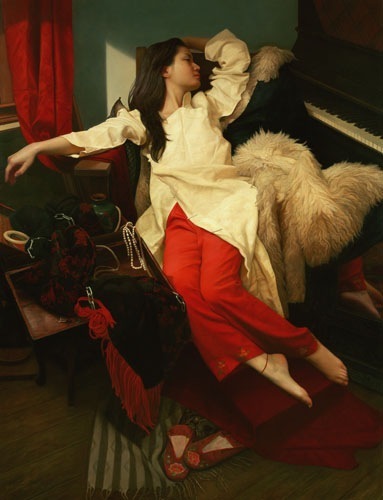 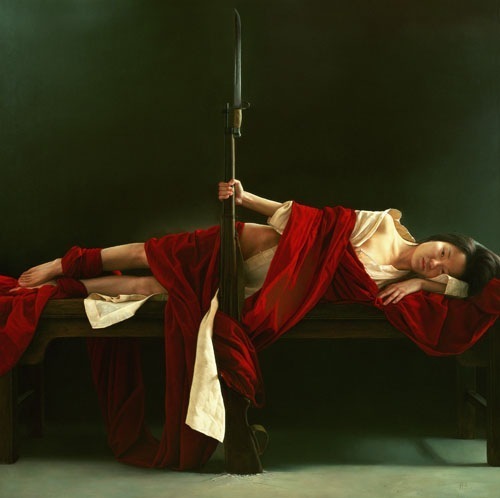 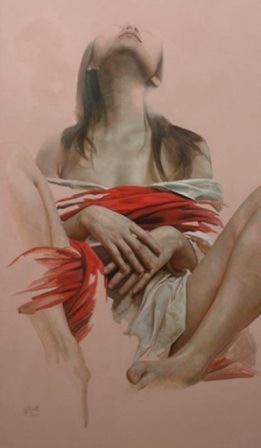 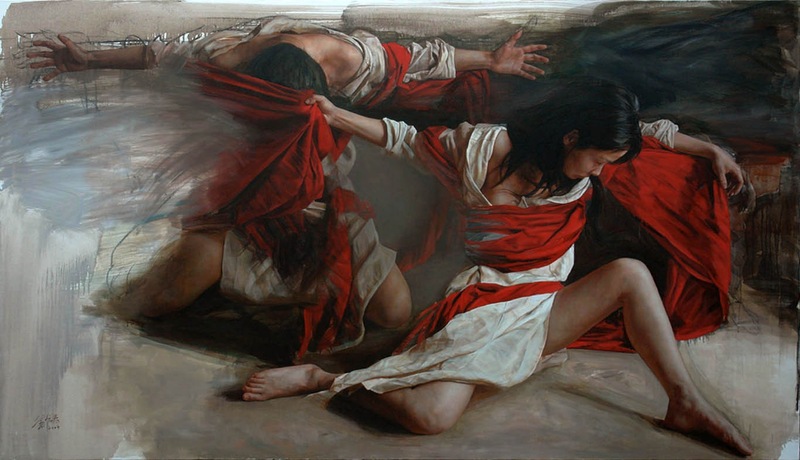 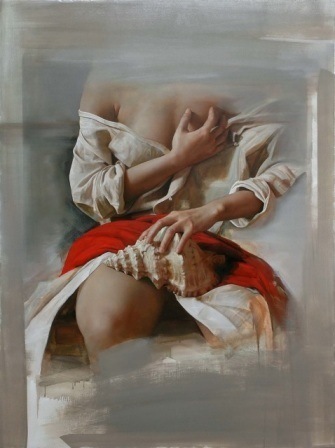 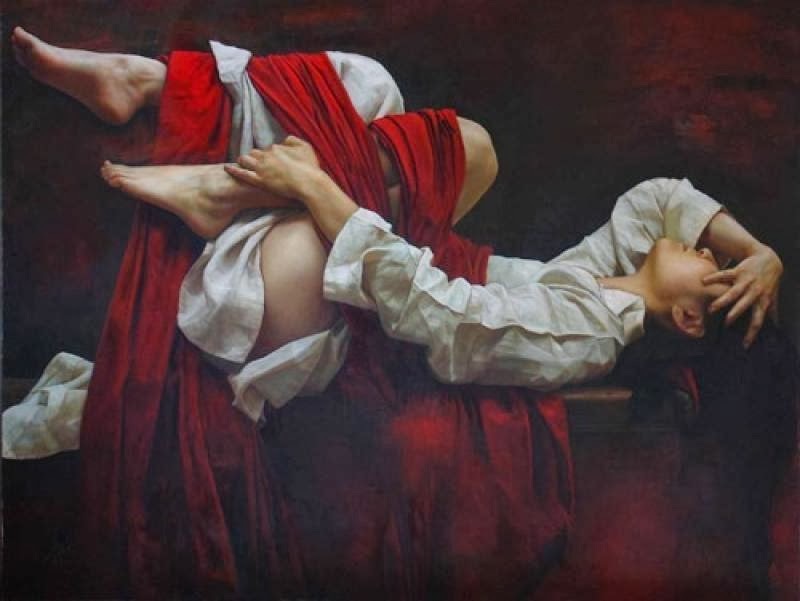 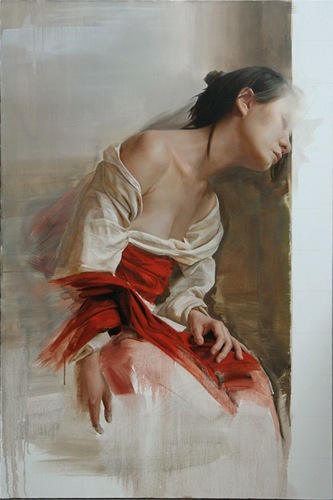 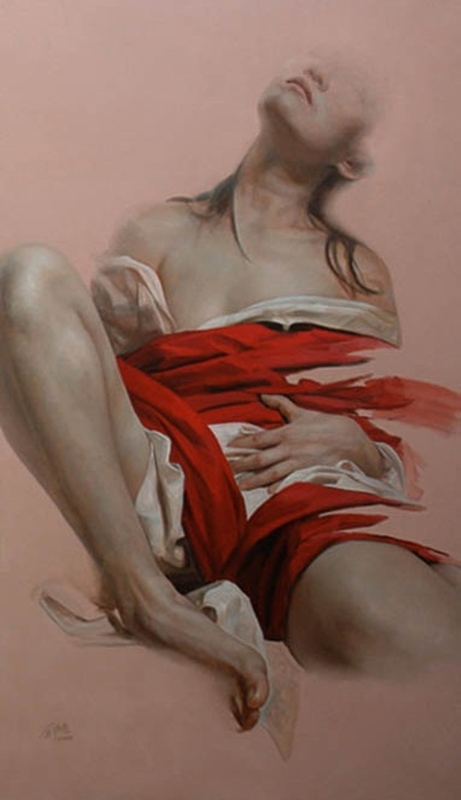 He earned a degree in oil painting from the Capital Normal University of Beijing in 1991, and has exhibited in and won awards in many prestigious exhibitions throughout Asia, including China, Taiwan, Hong Kong and Japan. 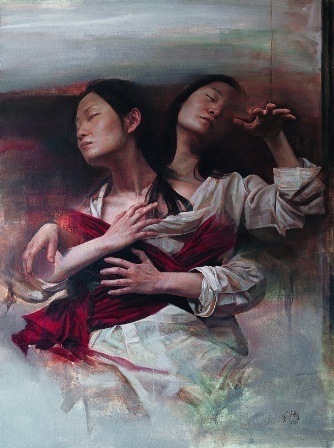 While Liu Yuanshou hails from the austere north of China, he has become fascinated by the seductively temperate cultural and physical climate of the eastern coastal province of Jiangsu, which lies east of Anhui and north of Shanghai. 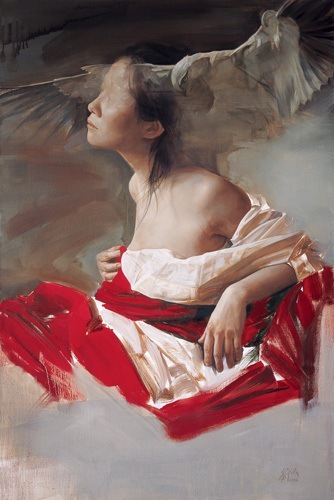 Silkworm culture is and always has been an important part of Jiangsu's history, as is the production of silk textiles. 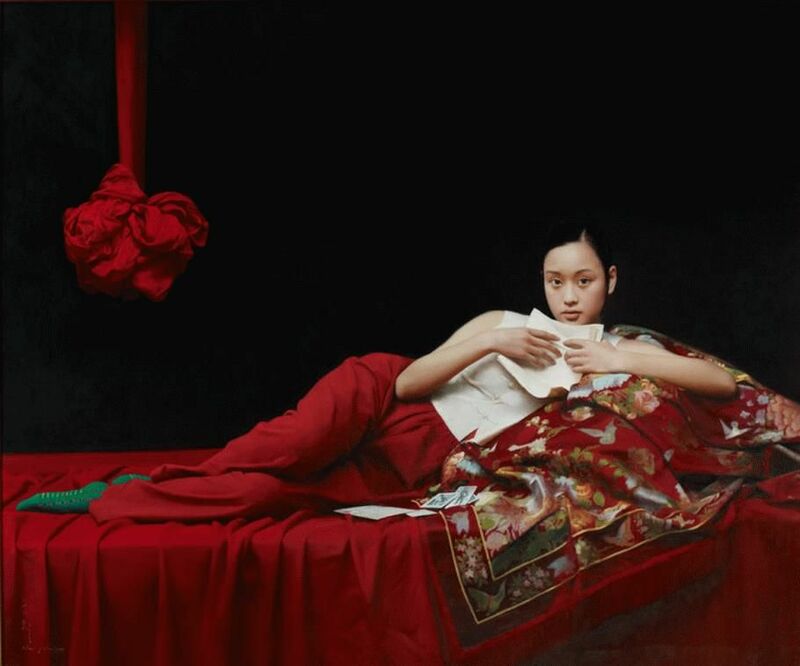 Perhaps because of this circumstance, silk is especially evident in Liu's art, which primarily focuses on portraits of young women from the Jiangsu region.